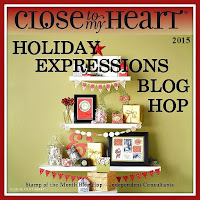 Welcome to our Holiday Expressions Blog Hop! Our new Holiday Expressions book is a supplement to our Annual Inspirations. The Holiday Expressions has everything you need for your Holiday papercrafting projects including fall, Halloween and Christmas stamps, papers and more! 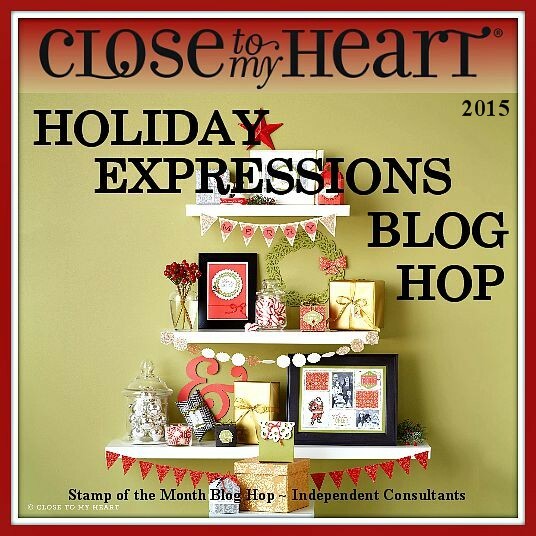 The Holiday Expressions is also where you will find the Stamps of the Month. This book is only good through December 31 so you don't want to wait until next year to order your favorite things! Today we are featuring artwork created with products from our new Holiday Expressions book. We have over 20 Consultants participating in this circular hop so when you get back to me, you will know you have visited all of the blogs! Be sure to leave comments! We LOVE reading comments. If you came from Haley Dyer's blog you are on the right track! If you get lost along the way you can find the entire participating hoppers HERE. Today I wanted to go 'out of the box' a little bit with our Halloween paper pack. Each month my clubs create a WOTG Scrapbooking Kit. There was not a WOTG kit for the Nevermore paper so I created 2 fun Halloween Layouts for them. (I will share those in a few days) Not all of my club members have small trick or treaters at home anymore so I also created a layout that was not Halloween themed for those ladies. I used several of our Close To My Heart Cricut cartridges for this layout. The large butterfly is from our newest Cartridge - Artistry. The smaller butterfly is from the Artbooking cartridge. The gears are from the Artiste Cartridge and the word "Amazing" is the font from Artfully Sent. I stamped the word "SIMPLY" with Jennifer's Hand My Acrylix stamp and added purple shimmer trim and Purple Heart Glitter Gems to finish the layout. 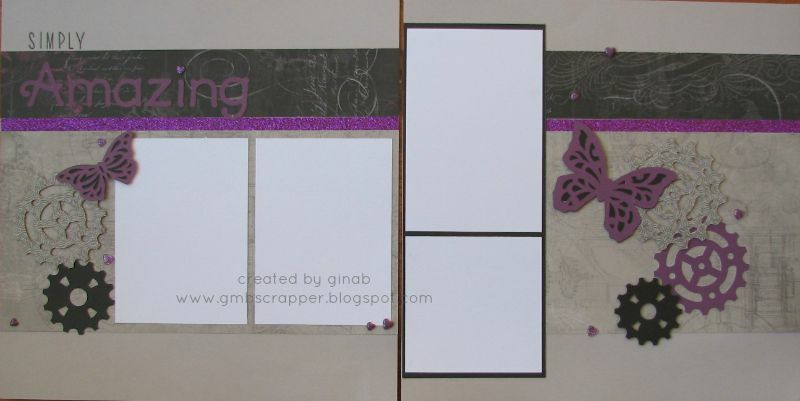 Come back and visit my blog later this week to see the Halloween layouts I created using the Nevermore Paper Pack and Nevermore Compliments!. Now it is time to hop over to Catherine Nowak's blog to see what she has to share! Ok, your layout is seriously gorgeous! This is such a fab layout. Great job! Beautiful layout. I didn't even recognize this was the Nevermore paper. Great job. Great job! I especially love the Purple Heart for the "I" - so creative!! This is amazing- love the Nevermore paired with all your embellishments! Wonderful layout - great way to show Nevermore's versatility.